In the past year, we have upgraded a lot of our equipment here at Allied. Cameras, lights, rigs; you name it. I think one of the larger upgrades we’ve made that has made a huge impact in our studio is going from the Zoom H4N Handy Recorder to the Zoom F4 Audio Recorder. After having worked with it for the better part of a year, I’ve discovered what I like about it and also the device’s shortcomings. This is easily my favorite aspect of this recorder. As an editor, it can be a grueling experience to mix audio when you have rough raw footage. You’re searching for ways to mix out the unwanted noise or mask it with other audio and it can be a real setback for a project with a quick turnaround/delivery. 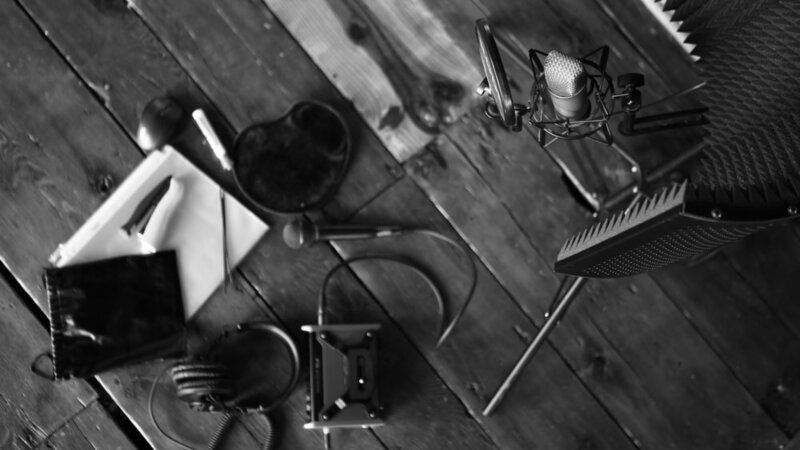 As an audio engineer, you’re always looking for tools to help you get the best audio in any environment. The F4’s on-board mixer solves a lot of those problems. With the use of hard limiters, faders, and so many more options you can really lock in your focus on capturing the desired audio. I love how separate mixes can be applied to separate tracks when recording with multiple microphones. For example, in interview setups I prefer the subject to wear a lav but I love to have a boom as a backup. It’s incredibly convenient to be able to have a mix for a mic 4 inches away from the subject’s mouth and a different mix on a mic that’s 4 feet away, all going into the same recorder. I realize that one might be hesitant to use this feature in case you accidentally mix out a sound you wanted to be captured, that’s why I also love the F4’s file saving system. The Zoom F4 comes equipped with two SD card slots that enable you to have separate track saving. With this feature, you can record all of your separate tracks on one card and the master track on another. This also enables you to save the mixed audio on one card and the raw audio on another. The multiple file saving system can be a real big help when you’re collaborating on a project that you yourself aren’t editing. We always try to give our partners and clients the best footage possible but it’s a luxury as an editor to have options, we aim to deliver both. With the Zoom F4 you can sort these different tracks into custom folders. The typing can be a little tedious on the device but a little time spent in production can lead to a lot of time saved in post. The ability to organize these files in the recorder is a testament to the device’s user friendliness. While the display screen on the F4 is on the smaller side, this doesn’t impede your ability to navigate the menu efficiently. The layout of the menu is done quite well. If you’re up on your technical lingo, it shouldn’t be a problem to find what adjustments you want to make to the recording or files being saved. If not, the manual can get you there easily. I recommend giving the manual a look when receiving any new piece of equipment but it’s highly recommended with the F4. That’s not to say that the device is so complicated that a read through is required, it’s just fun to find out what this recorder is capable of. A manual read through can also help identify what little adjustments can make a big difference in your recordings. It’s quite astonishing to see how Zoom fit so much capability into a relatively small device. The last thing I want to touch on about the F4 is how so much power and versatility comes in a conveniently small package. While much larger than our previous recorder, the F4 is still incredibly easy to carry. It also comes equipped with a nut on its base so you can screw it onto a light stand; a huge help if you’re running and gunning without a tech dedicated to audio. With the right bag, you can be a living sound booth and fit into the smallest spaces to get the best audio while remaining hidden from the frame. However, you need the right bag for the F4. While this device has been a big upgrade, it still isn’t perfect. And needing the right case is one of the F4’s shortcomings. This imperfection of the device is less impactful if you have the right bag as previously mentioned but without one the F4 can be a pain to set up and tow around a set. On the back of the device you’ll find some very important inputs such as timecode sync in & out. 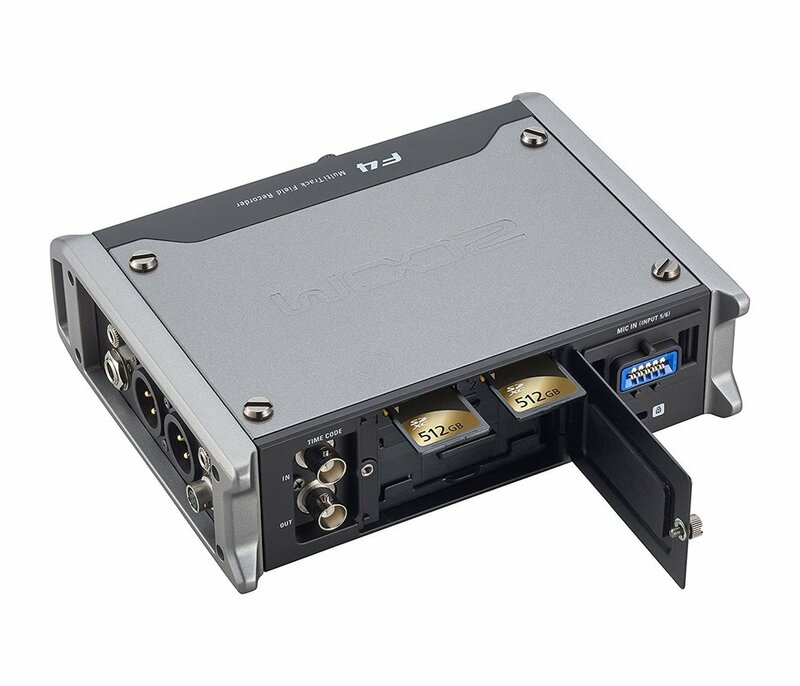 Timecode sync is being used more and more lately, especially when collaborating with another team, making easy access and connectivity essential. I understand that you may not be utilizing these inputs most of the time so the inconvenience isn’t that great but you can’t help but wonder if there was a better place to put them on the device. Timecode sync is in an incredible help in the editing process but you can survive without it (especially if your camera records scratch audio). You most likely won’t be using the rear mic input but if you had to, wouldn’t you rather those be with the others? While the right bag fixes most of these problems, it’s an obstacle to climb over either way. The back panel also features the battery pack, which can be a problem of its own. If you’re on a location with the F4 and running on batteries, bring extras. A LOT of extra batteries. The battery pack that comes with the F4 runs off of 8 AA batteries. This usually affords you about 4-6 hours of device usage but there are numerous factors that can trim that time down. If the recorder needs to run phantom power to a mic, cut that time in half. If you’re battling the cold weather, cut that time in half. Running phantom power in the cold? Good luck! Obviously an external battery pack (which we mostly use) will help solve this problem but this forms a certain pattern for this device. It seems that to overcome the F4’s problems you have to purchase separate equipment. The rear inputs aren’t really a problem if you BUY the right bag. The battery consumption is no big deal if you BUY the right battery pack. But there is another problem with the F4 that can’t be solved with complimentary equipment and that is the SD card slots. A Screwed-In Panel? On the Back?! It’s only upon starting this section that I realized my largest complaints about the F4 have to deal with the back of the device. The placement of inputs and battery consumption pale in comparison to the SD card access, logically. First of all, the panel is on the back. WHY?!!! I listed how to get around the previous problems with the rear panel but there is absolutely no way to avoid this. You have to record the audio onto a memory card and SD is your only option. The cards don’t create a carrying problem by jutting out or anything but for some reason they’re hidden behind a screw-in panel. Thankfully the screw is mounted in the panel door so you never have to worry about dropping/losing the screw but it’s a pain to have to deal with it anytime you need to remove or change cards. The screw-in panel mostly serves to keep the battery pack in place but the SD card slots are needlessly placed behind the panel. I’ve never encountered a situation where a recording was lost due to the SD card popping out so it seems like Zoom was trying to fix a non-existent problem. But my complaints about the F4 aren’t limited to the back of the device. The front panel has a minor imperfection that can really throw a wrench into the gears. This is where I start to get a little nit-picky. I understand that traditionally mixers have adjustment knobs so you can make precise changes to whatever setting you may be altering but I think that a digital interface with buttons would be more effective. My concern is that with the knobs it’s easy for one to make one of those small adjustments on accident and not catch it until the edit. It’s a simple mistake that can make a huge impact on your project. Is this a frequent problem? No. Has it happened to me before? No. But I am definitely more worried about making that mistake than I am about the SD cards popping out, yet that base was covered. I think that with buttons and a button lock this problem can be completely avoided. 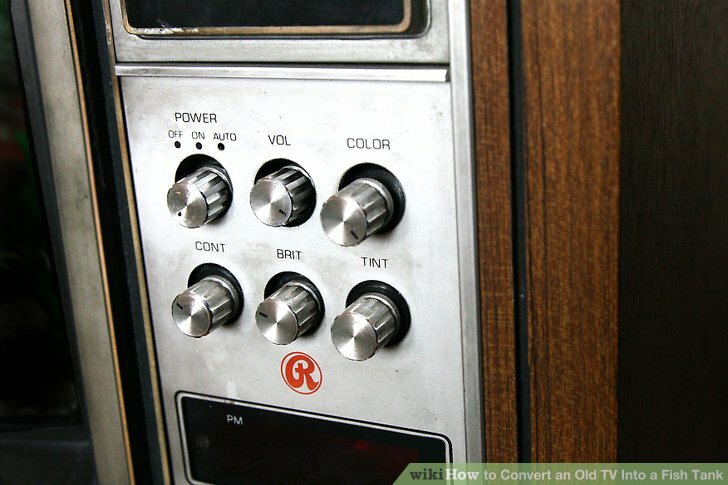 You can still make these tiny adjustments if the dial has small enough increments. Overall this is more of a potential hazard than a real fault of the device, you just have to be a little more aware of how you operate. Once again, I recommend a quick read through of any equipment’s manual for reasons like this. There may be a setting or feature that can make a world of difference you may not know about. While the F4 isn’t a perfect piece of equipment, I can’t recommend it enough. It’s capable of recording great audio without taking up a lot of space in your studio or your budget. I’m not saying that it’s the last audio recorder you’ll ever need but it is definitely worth the $450 price tag. It’s easy to be giddy about a new piece of equipment and sing its praises from the get so I’m glad I took some time before reviewing the F4. But remember that a great recorder needs a great mic attached with a great cable to get great audio. The Zoom F4 can get you one-third of the way there. Live Event Videography: Plan. Plan. Plan.